At the end of a week that was definitely 27 years long, one must take good news where one can find it, and one will, perhaps, wish to have a few stiff, well-earned drinks to take the edge off. Consider this story a double-threat. Last year, Kentucky’s bourbon distilleries once again raised their overall production numbers. (People like bourbon.) The result, reports The Associated Press, is a bourbon inventory in the state that encompasses 7.5 million barrels of aging whiskey. That’s the highest number since 1972, per an industry group, and is, to use a technical term, a fuckton of whiskey. 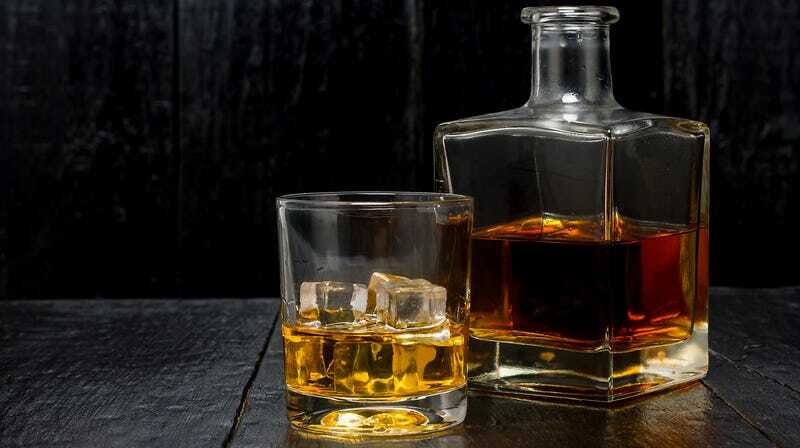 There are storm clouds on the horizon, however; tariffs could “curtail bourbon consumption in [overseas markets],” which could leave the bourbon with “a flood of whiskey.” That would affect prices overall, and could particularly impact small craft distillers, per The AP. In 2017, Kentucky’s overall production numbers in 2017 topped 1.7 million barrels for the second time since 1968; the current inventory level is the highest it’s been in 46 years. And according to the Kentucky Distillers’ Association, the state is responsible for about 95 percent of the world’s bourbon supply.